If there’s a product you really love, then you’re likely to be pretty chuffed to have it available as and when you want it. It’s this value we place on convenience, as well as the success of tech-driven e-commerce, that’s seen a boom in subscription based businesses. Subscriptions are supposed to be a win for everyone. Through a continual stream of product supply, the business is able to create a much stronger bond with consumers. For the customer, it offers a predictable way to manage spend on a regular basis or avoid running out of a necessary product. It also means you can avoid the hassle of completing the buying process for every purchase. So, if they’re so convenient and benefit both parties, why has ‘subscription’ become a dirty word? The problem is that some subscription companies try to sell what they want, when they want. This approach leads to customers buying for stuff they don’t want. They feel trapped, and in the majority of cases the subscription turns out to be more attractive to the CFO and business investors than the customers. It’s because of this that the subscription has become something of a mosquito. They’re universally irritating, but regularly tolerated because they sit between the customer and the thing they want; in a mosquito’s case, the holiday. Gym memberships are a good example of people putting up with the monthly payments because there’s no alternative - and likewise the business couldn’t run without it. A lot of new start-ups offer subscription-based commerce of products that don’t suit this type of continual supply. They’re things that many people would buy as they need it, which can drastically reduce the chance of success. The best examples of subscription businesses are those where the subscription itself is an important part of the value proposition. So the customer experience would actually be worse without the regularity and convenience of a subscription. It’s lazy to assume you can build a habit-forming product without putting effort into the product development. Entrepreneur and tech writer, Nir Eyal, talks about the value of habit-forming products. He believes entrepreneurs should find a human need and build a solution that’s powerful while also reinforcing a lasting habit in their customers. Some rigid subscription businesses look at the value available by creating a product that’s so good it forms a habit for the customer, and they say: "we want that value". But building a product that’s habit-forming is incredibly tough, so instead they just dump in the subscription element in an attempt to extract the same value. That’s nuts. And it’s lazy to assume you can build a habit-forming product without putting effort into the customer and product development. It’s also important to recognise that people form habits slowly over time. By doing things that your customers want, listening to their needs, and by improving the product and level of service, they’ll want to pull the product towards them - rather than just accept that it’s being pushed at them. You can categorise most disruptive start-ups as vitamins or painkillers. A vitamin will improve your life and a painkiller solves a real problem that you have. To justify the subscription element in a business, it needs to act as either a vitamin or a painkiller. 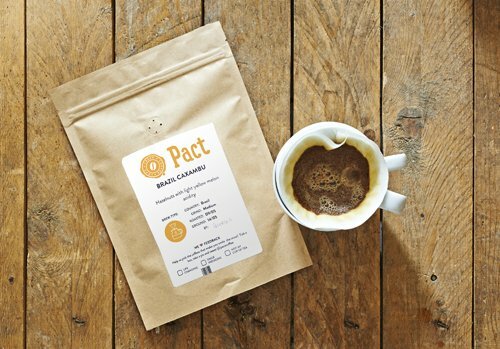 One of the biggest misconceptions about Pact is that we’re a rigid subscription, when in fact we have worked really hard to create a completely flexible subscription that can adapt to your personal coffee drinking habit (so you never run out of freshly roasted coffee you love). 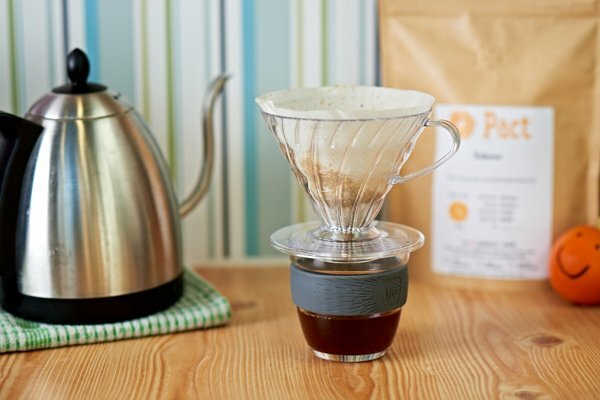 We take the time to understand how often you need a shipment and you can easily pause deliveries, manually change shipment dates or ASAP your coffee to arrive the next day. A good subscription is one where, if you removed that subscription aspect, your customers would actually be irritated - they’d be disappointed, and they’d call for it to be brought back, not collectively breath a sigh of relief. To achieve this you have to listen really intensely to what your customers want, and go and build it for them. User insight drives everything we do at Pact. Care more about figuring out what your customers’ problems are and then go about solving them better than anyone else on the planet and you will be on track to build a loved and celebrated subscription business.